The best heating system a house can have is the one you don’t realize is even there. No radiators clanking in the night. No vents whooshing like a jet preparing for takeoff. No dust-spewing duct work to run up your allergists’ bills. Just an even blanket of heat right where you want it. 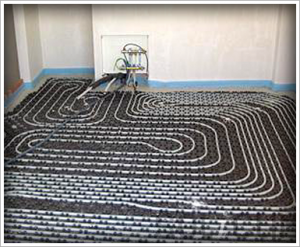 In a radiant floor heating system , the warmth is supplied by hot-water tubes or electric wires buried underneath the floor. As the invisible waves of thermal radiation rise from below, they warm up any objects they strike, which radiate that captured heat in turn. Though the air temperature remains relatively constant, you stay comfortable because the surrounding surfaces aren’t stealing warmth from your body. 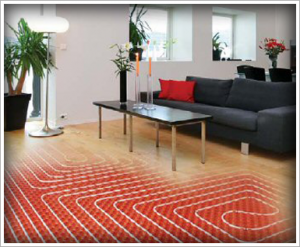 Feel free to call us at the office and request you free estimate on radiant floor heating.